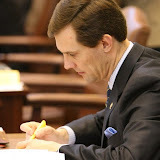 (Updated June 26, 2014 at 9:27 a.m.**) Rep. Jason Nelson, R-Oklahoma City, a coauthor of House Bill 3399, issued the following statement regarding a lawsuit filed Wednesday challenging the constitutionality of HB3399, the repeal of the Common Core State Standards from Oklahoma law. Attorney Robert McCampbell filed the lawsuit on behalf of ten plaintiffs, including four members of the State Board of Education. The plaintiffs are challenging provisions found in Section 4 of HB3399 that establish an alternative process for legislative review of new academic standards. The plaintiffs’ challenge is related to Section 4 of HB 3399 that gives the Legislature the ability to review and approve, disapprove, disapprove in whole or in part, amend or return to the Board with instructions all new standards created by the State Board of Education. “Common Core will be reinstated if this lawsuit is successful. This would result in even greater logistical challenges for schools that need certainty now -- the next school year begins in two months. A better course of action would have been for the plaintiffs to work with the Legislature next session to amend the provisions of Section 4 to address their concerns. It's very unlikely that new standards would be ready by next session, and certainly not before then, so Section 4 would likely not come into play until the 2016 session leaving more than enough time to address any legitimate concerns. "The language in Section 4 was requested by grassroots opponents of Common Core because Oklahoma's Board of Education is not an elected body. “This lawsuit is part of an effort by an out of state, national organization with a history of promoting Common Core. The same attorney who filed the lawsuit wrote a letter in May on behalf of the National Association of State School Boards raising these same issues. Everyone needs to know that this is really an effort instigated by a national group coming into the state to stir up a legal challenge to our efforts to repeal Common Core. I was made aware of this group’s opposition to House Bill 3399 and these same constitutional issues earlier in session during a meeting with the Cooperative Council for Oklahoma School Administrators (CCOSA) and the Oklahoma State School Boards Associaton (OSSBA) when they provided a letter from NASSB. ** Every effort was made to ensure the legislation was constitutional. Staff attorneys and others reviewed the group’s concerns and, based on those reviews, I don’t believe the challenge has any merit. “No one raised these constitutional objections or filed a lawsuit when the Legislature directed the State Board to adopt a very specific set of standards back in 2010 called Common Core that did everything that the plaintiffs now claim is unconstitutional. The Oklahoma Constitution, Article 13, Section 5, clearly states that the powers and duties of the State Board of Education are subject to provisions of law passed by the Legislature. HB3399 merely modifies those provisions of law related to legislative review of academic standards. The State Board will still develop the new standards. I find it strange the plaintiffs are not challenging the part of the law that requires the State Department of Education, the Department of Commerce, the Regents for Higher Education and the CareerTech Board to be a part of the process of developing the new standards. The same argument should apply to this provision as well. “Section 4 is nothing more than a rule-making process for administrative rules. The State's academic standards are considered administrative rules that, when approved, have the force and effect of law. I believe it is constitutionally appropriate for the Legislature to have this level of review of something that will have the force and effect of law and will affect hundreds of thousands of children. The following are statements from Rep. Jason Nelson, Sen. Josh Brecheen, and Sen. Anthony Sykes on the signing of House Bill 3399. “I’m grateful to Governor Fallin for signing House Bill 3399 today. Clearly Governor Fallin gave careful consideration to the concerns of so many Oklahoman’s on both sides of the debate, and made the right decision. Gov. Fallin has been a champion of high academic standards and from her comments after signing the bill she continues to be as dedicated as ever. HB3399 repeals Common Core State Standards in Oklahoma and establish a process to develop new, superior standards for English and math. HB3399 has made national news because, while Oklahoma is only one of three states to reject Common Core of the 45 states that adopted it, this measure is the most comprehensive. In standing firm on the 10th Amendment, Oklahoma is leading with the first true repeal of common core and thereby emboldening other states to follow suit. In safeguarding our educational system from federal overreach, we are pressing the pause button and guaranteeing that our teachers will be able to teach the same math and English content they taught this year, until new standards are established in 2016. Those new standards will have to be approved by the Legislature thus bringing representative government into the process to ensure they won't be a ‘copy and paste’ version of Common Core under a new name. 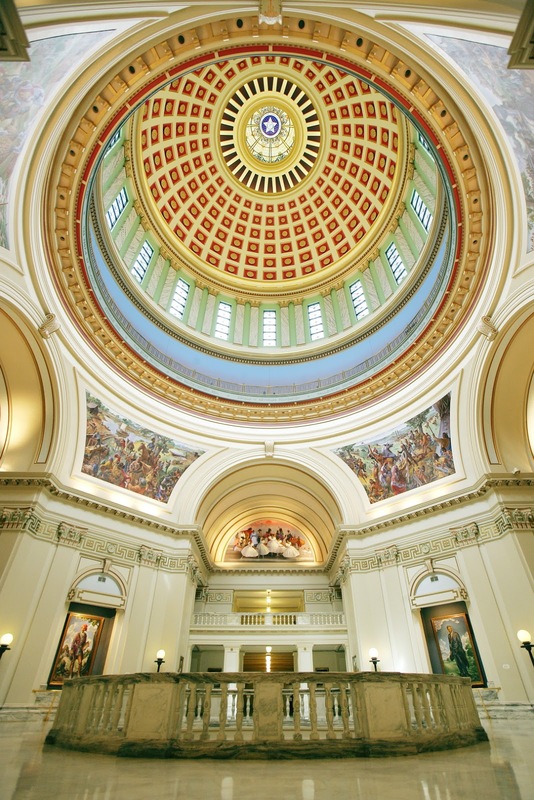 "HB 3399 returns Oklahoma education to Oklahomans. I thank Governor Fallin for signing this historic piece of legislation." "With Governor Fallin's signature on House Bill 3399, we now begin the process of drafting superior education standards for Oklahoma schools. We also must monitor reaction by the federal government and the possible loss of our waiver from federal education laws resulting from the repeal of Common Core standards from Oklahoma law. Going forward, I am hopeful that we are moving in a direction of Oklahoma education decisions being made more by Oklahomans and less by those outside our state and in Washington, DC. While this issue generated a hearty debate around our state, what all Oklahomans agree on is wanting a better future for our most precious asset, our children. The journey to develop a better education and that brighter future for all Oklahoma children begins today." 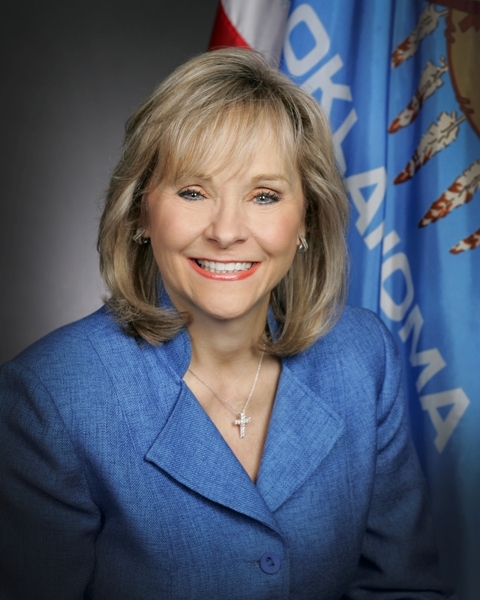 OKLAHOMA CITY—Governor Mary Fallin today signed HB 3399, a bill that replaces the Common Core State Standards (CCSS) in English and math with academic standards to be designed by the state of Oklahoma. HB 3399 repeals the adoption of CCSS and directs the State Board of Education to create new, more rigorous standards by August 2016. For the first time in state history, the State Regents for Higher Education, the State Board of Career and Technology Education, and the Oklahoma Department of Commerce will be asked to formally evaluate those standards to determine they are “college and career ready.” While those new standards are being written, the state standards for English and math will revert to the Oklahoma Priority Academic Student Skills (PASS) standards used from 2003 to 2010. HB 3399 passed with overwhelming bipartisan support in both chambers, 71-18 in the House and 31-10 in the Senate. “We are capable of developing our own Oklahoma academic standards that will be better than Common Core. Now is the time for Oklahomans – parents, citizens, educators, employers and elected officials – to unite behind the common goal of improving our schools. That begins with doing the hard work of building new, more rigorous Oklahoma standards. “All Oklahomans want our children to get a quality education and to live the American Dream. To ensure our children have that opportunity, Oklahoma – and every state—must raise the bar for education standards so that our children can compete worldwide. “Common Core was created with that well-intentioned goal in mind. It was intended to develop a set of high standards in classrooms across the nation that would ensure children graduated from high school prepared for college and a career in an increasingly competitive workforce. It was originally designed as a state-lead – not federal – initiative that each state could choose to voluntarily adopt. “Unfortunately, federal overreach has tainted Common Core. President Obama and Washington bureaucrats have usurped Common Core in an attempt to influence state education standards. The results are predictable. What should have been a bipartisan policy is now widely regarded as the president’s plan to establish federal control of curricula, testing and teaching strategies. “We cannot ignore the widespread concern of citizens, parents, educators and legislators who have expressed fear that adopting Common Core gives up local control of Oklahoma’s public schools. The words ‘Common Core’ in Oklahoma are now so divisive that they have become a distraction that interferes with our mission of providing the best education possible for our children. If we are going to improve our standards in the classroom, now is the time to get to work. “For that reason I am signing HB 3399 to repeal and replace Common Core with Oklahoma designed and implemented education standards. I am committed, now more than ever, to ensuring these standards are rigorous. They must raise the bar – beyond what Common Core offers – on what we expect of our students. Above all, they must be developed with the goal of teaching children to think critically and creatively and to complete high school with the knowledge they need to succeed in college and in the workforce. I also ‘get it’ that Oklahoma standards must be exceptional, so when businesses and military families move to Oklahoma they can rest assured knowing their children will get a great education. “The process of developing new, higher standards will not take place overnight, nor will it be easy. It will require hard work and collaboration between parents, educators, employers and lawmakers. Developing these standards is worth the effort; because our children’s education is that important to our state. Their futures, as well as Oklahoma’s future prosperity, depend on our ability to write and implement education standards that will prepare our children for success. I know Oklahoma is up to that challenge. 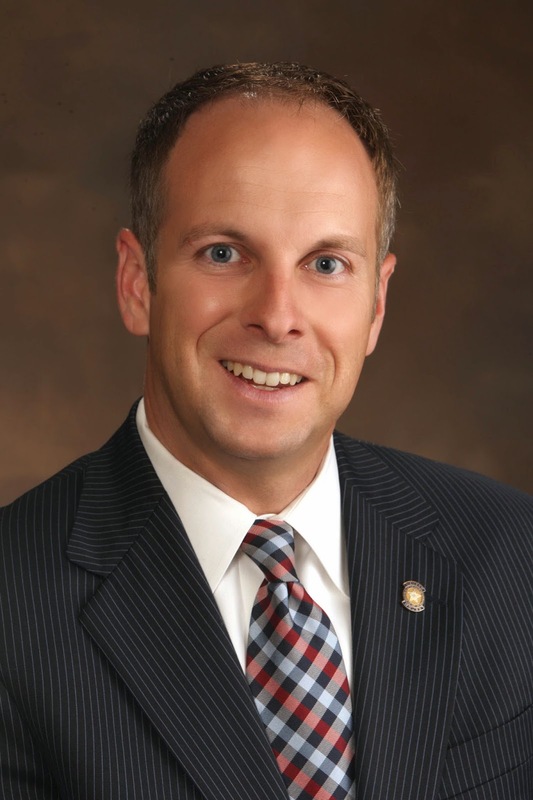 Jason Nelson served eight years in the Oklahoma House of Representatives and is currently a senior advisor to an Oklahoma based foundation. The views expressed in this blog are his and do not necessarily reflect the views of any person or organization with which he is associated.